A fellow Waldorf teacher passed this children’s book on to me as a gift, and I found it fascinating and informative. Written in first person, it is a simplified and edited version of an oral history first told in 1928, and later published in 1993. This current version has been edited specifically with children in mind. It is often so hard to read the stories about the Native Americans, because of the intense suffering and persecution that they went through. Many children’s books seem to focus on that, and lose the beauty and dignity of their lives prior to their humiliation. This children’s book is an exception. 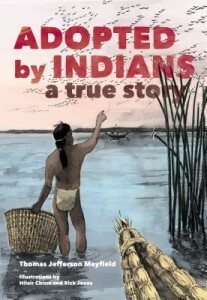 The narrator lived with the Choinumne Tribe in California, and had direct experience of their awesome lifestyle. Just reading that “they were outside almost all of the time” made me appreciate the immense bond with nature that the Native American people had.